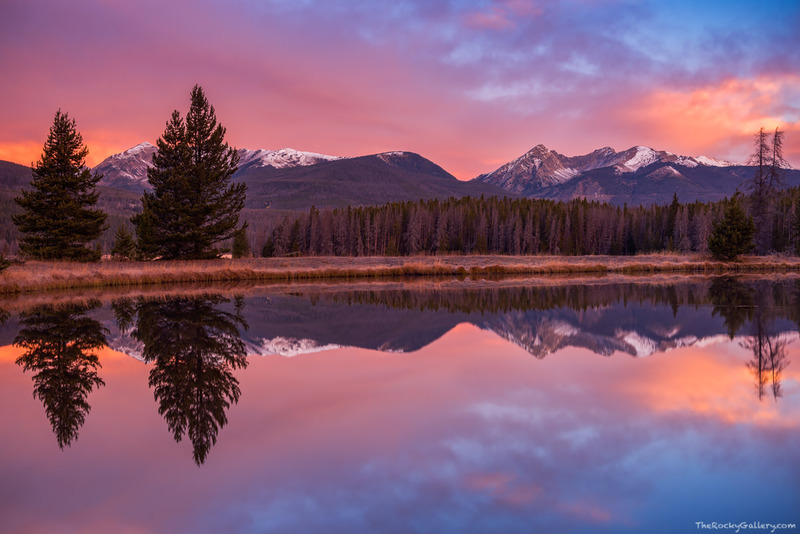 If you are lucky enough you get to witness a few spectacular sunrises like this each year in Rocky Mountain National Park. As I waited at this small pond on the west side of Rocky Mountain National Park I kept watching the skies over the Kawuneeche Valley to see if the sun would make it through the clouds and set the morning skies ablaze. Sure enough the skies soon began to take on beautiful hues of reds and oranges and the morning in Rocky came alive with color. Photo © copyright by Thomas Mangan.